Join us as we celebrate "Giving Back"
Our Seventh District Members "Give Back" to the community in a variety of ways. We hope to share their stories on this page. Keep visiting for updates! 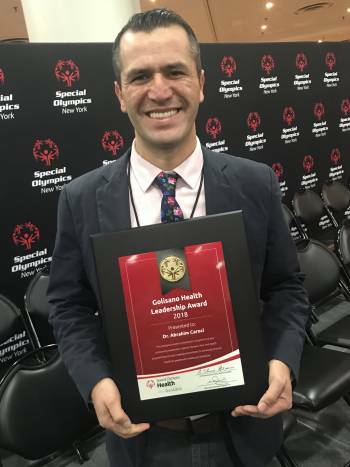 December 8, 2018--NEW YORK CITY, NY –Special Olympics New York President and CEO Stacey Hengsterman and Golisano Foundation Executive Director Ann Costello announced that Rochester, NY pediatric dentist and Special Olympics Clinical Director Dr. Abrahim Caroci received the 2018 Golisano Health Leadership Award for New York State — the highest regional honor for Special Olympics health partners. Dr. Caroci is one of only 109 individuals and organizations in the world to be honored this year with the Golisano Health Leadership Award. Read entire article here: http://golisanofoundation.org/Golisano-Foundation/Newsroom/News2018/News_GHLA_AbraCaroci_12.7.18.aspx . 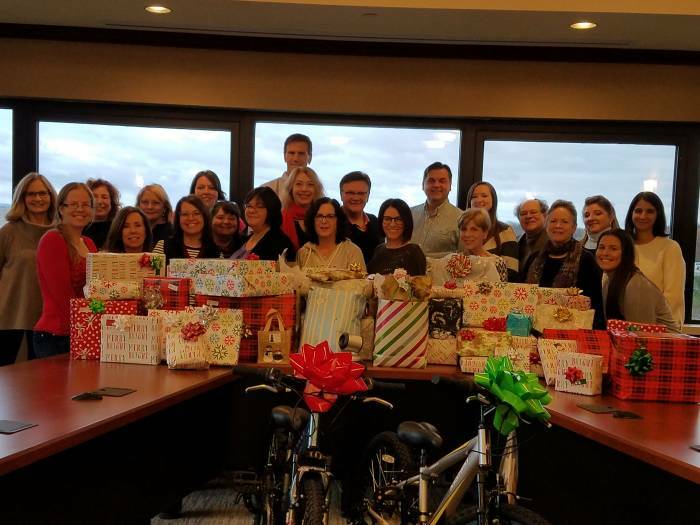 The Staff of NYSDA Giving Back at the Holiday through ADOPT A FAMILY. Thank You!